While the standout wines of the Alto Adige region in northeast Italy are the zesty, aromatic Germanic whites--Gewurztraminer, Pinot Grigio, and Weißburgunder (Pinot Bianco)--it was Ludwig Barth von Barthenau, a chemistry professor at the University of Vienna, who was among the first vineyard owners to plant Pinot Nero (Pinot Noir) near the town of Mazon in the Alto Adige in the mid-19th century. A Francophile who loved French Burgundies, Ludwig Barth von Barthenau was definitely the first to exclusively grow Pinot Noir on his estate beginning in 1860. Barthenau's pioneering focus on the Pinot Noir grape continues to animate the estate's owners to this day. In 1942, Ludwig's grandson sold the estate to the Foradori family; Paolo Foradori released his first Pinot Noir in 1959. Also in 1959, Paolo married Sieglinde Oberhofer, the only daughter of Konrad Oberhofer, nephew of Josef Hofstätter, who in 1907 founded in the village Tramin the Weingut (estate, or Tenuta in Italian) Hofstätter. With the marriage of Sieglinde and Paolo the vineyard properties of the two families merged together. Since 1987, Paolo Foradori and Weingut Hofstätter have produced the single-vineyard wines of Barthenau Vigna S. Urbano, Pinot Noir and Barthenau Vigna S. Michele, Pinot Blanc. (The Vigna name connotes the wine's single-vineyard status and is the Alto Adige equivalent to a prestigious Cru designation in Burgundy.) The Mazon plateau located above the village of Neumarkt is particularly renowned for its Pinot sites and their prestigious wines have since attracted a worldwide following. Tenuta Hofstätter is the only family wine estate that owns vineyards on both the west and the east banks of the Adige River. Hofstätter's Gewürztraminer is made from a selection of grapes grown in the family's Vigna Kolbenhof estate in the hamlet of Söll overlooking the village of Tramin. Tenuta Hofstätter's fortuitous combination of its microclimate, the southeastern orientation of the vineyard, and the age of the vines make its Kolbenhof estate one of Alto Adige's great Crus for Gewürztraminer. The vine itself is named after its origin, the wine village of Tramin. Today, the historic family winery is now operated in the fourth generation by the couple's descended son, Martin Foradori Hofstätter. 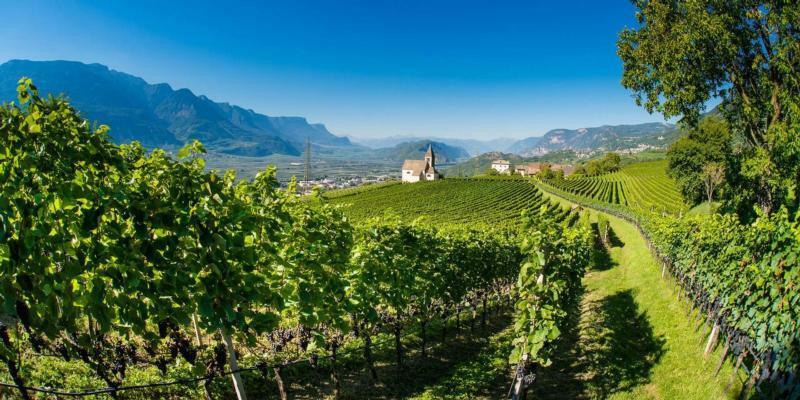 The winery and its holdings constitute one of the largest family wine estates in Alto Adige. Wine Spectator 90“Pretty violet and sandalwood accents lace flavors of wild strawberry and ripe currant in this well-balanced, medium-bodied red. A rich hint of smoky bacon fat lingers on the fresh and focused finish. Drink now through 2023. 600 cases imported.” ~B.S.